Customers, Bloggers, and Influesters have provided reviews of Mattify Cosmetic's Makeup & Skincare Products for Oily Skin. Read below to see what they have shared! Christy shows how to use Mattify's Powder Products for Oily Skin to create the ultimate Yoga Glow! Step-by-step instructions on how to create the new "yoga skin makeup look", for a fresh natural looking complexion that radiates health, without looking overly dewy or greasy. Transparent Powder for Oily Skin - AH-MAZING! I received this product but it was the ultra version. This powder does exactly as it claims.. it soaks up the access oil and it leaves me matte for hours! After I apply my foundation and primer I put this on top and I'm matte the entire day. I never have to touch up my makeup when I have this on. This is a really great powder for oily skin! it is transparent and does its job. I recommend this to anyone looking for something to set their makeup or to control shine! I love this company-- their shipping is extremely fast! Voted "Best Powder for Oily Skin" Mattify ULTRA, by blogger Punkmarkgirl. The only face powder to multi-task as an oil control primer, ULTRA absorbs oil for hours, prevents pores from clogging, and provides an Insta-Filter finish when used to set foundation. As the old saying goes, you've tried the rest, now try the best! Ok so I was reading a blog about products for oily skin and that’s when I found a link to your site. It suggested the one called Ultra Powder, so that’s what I ordered. I just have to say OMG!! It makes my skin look totally flawless and I don’t get oily for so long! I’m 28 years old and have been looking for makeup that would suit my oily skin since I was old enough to even know what makeup is. My mom would always tell me it would go away after my teen years, but it hasn’t. My face is still just as oily now. I read up on how to use the powder so it absorbs the most oil and wearing it under and over my liquid foundation is the best way to go. Once in a while I will be in a hurry and forget to apply it first, and there is a huge difference. I’m always so mad at myself on those days! It really is true too that it prevents breakouts. Since I started doing that, I hardly ever get zits, which is truly amazing. My skin looks healthy and soft, the powder makes the texture look so even and perfect. Here is a before and after picture of the side of my face, from before and after I did my makeup. I get so many compliments when I use the Ultra Powder, and it’s great to not be stressing out that my face looks all shiny. Thank you for making this product!! This remarkable page features a HUGE selection of handmade items available on Etsy. They've included our Mattify products for oily skin on their list. Go check out their FB page for some incredible gift-giving ideas! This is a moisturizer for oily skin that actually doesn’t make skin oilier! I was one of those people who would avoid moisturizer like the plague. No matter what brand I would use, or if the instructions would promise it works for oily skin, it would always make me break out and look extra oily. I gave up looking for moisturizer about 10 years ago and havn’t used any since. Since I’m a huge fan of the Mattify Cosmetics Ultra Powder, I decided to try the new moisturizer called Incredi-Gel. It was only 5 bucks for the little size, so at least I wouldn’t be wasting a lot of money if it didn’t work. The first day I used it, I could already tell it was totally different from any other moisturizer I used before. It soaked into my skin immediately! Actually it soaked in so fast that I applied a second layer to see what would happen. It did the same thing! Seriously, every single moisturizer I’ve ever used has just kind of sat on top my skin, feeling like a thick coating. It was like my skin literally drank the Incredi-Gel moisturizer. There was no sticky or greasy film on my face after applying it. Since the first use was at night, I couldn’t wait to see how it worked the next morning to use before applying foundation. Even though it didn’t leave any residue, I was still not completely convinced I’d be able to wear it under liquid makeup without it making me look oilier. I applied the Incredi-Gel and a few minutes later, my liquid makeup. The makeup actually went on smoother than it ever has! My skin had a fresh look to it and the makeup looked flawless. I topped it with the Mattify Ultra Powder and left for work. Much to my surprise, my face didn’t get oily any faster than it usually does. AND now that I’ve been using the Incredi-Gel for the past few weeks, I think my skin has started getting less oily. I’m noticing that I don’t need to powder and touch up nearly as much. I’m 39 and don’t have wrinkles yet, but my skin does have a tendency to look dull. Now, my skin just looks healthier in general and less oily too. I’m absolutely loving this product. Thank you Mattify Cosmetics for bringing the wonders of moisturizer to this oily skinned girl! Featuring the best products for sensitive skin, Rica's Beauty Blog highlights effective products for acne prone, oily skin that rejects common brands of makeup containing silicone. Featuring Mattify's Strobing Highlighter, Long Lasting Blush, Oil-Absorbent Foundation, and Matte Powder for Sensitive Skin, she showcases fantastic before and after photos! Reviews and swatches of Mattify's Original Powder for Combination Skin, Strobing Highlighter, and Long Lasting Eyeshadow on Michelle's Cosmetics Beauty Blog. Follow her on Instagram and Bloglovin too, for updates on all things Beauty! Featuring reviews of Mattify's ULTRA Powder for Oily Skin, Long Lasting Blush, and Ben Nye Makeup Setting Spray! A few years ago I fell in love with a company called Mattify Cosmetics who specializes in products for oily skin. Sometimes it feels like I have the oiliest skin on the planet! I’ve searched everywhere for makeup for oily skin and it’s nearly impossible to find. A few months ago I ordered the Mattify Makeup Kit and my skin has never looked better! We moved from New Mexico to Connecticut last year, and now that we live near the coast, my skin is far more oily than it was before. Every day, the humidity makes makeup application a nightmare. I tried drug store brand foundations that claimed to be good for oily skin, like Revlon Colorstay or L’Oreal True Match. Tried MAC foundation too, but didn’t see much difference between the super cheap & super expensive foundations. They looked good right after I would put them on, but then the makeup would start to feel really heavy and oily as my skin got oilier throughout the day. ​Mattify Cosmetics Highlighter & Long Lasting Eyeshadow Swatches by Glammommyki on Instagram – stay tuned for her makeup looks using Mattify Cosmetics! Bright blue smoky eye, created by Instagram & Etsy follower Alanna Oreste. Shades of blue add brightness and sparkle to brown eyes! ​Dupe this look using Mattify Cosmetic's Midnight Train, layered with Day Dreamer. ​Sophie reviews our ﻿Long Lasting Eye Shadow﻿, Highlighter, and Lip Gloss Pots on the Sophie Kavanagh Style Blog - plus provides makeup looks & swatches! ​Blogger Punkmarkgirl on HUB Pages / Bellatory reviews our Incredi-gel Moisturizer for Oily Skin & explains how well it works to use under foundation . Makeup blogger Pink Sith provided a fantastic review of our makeup for oily skin. For years she’s been seeking products that would be up to the task of combating her oily skin – and Mattify came to the rescue! Click here to read her glowing review of ULTRA Powder for Oily Skin. ​​Blog Post featuring Mattify! Cosmetics Products for Oily Skin @ SAUCE Inc Blog! Click here to read their article on 4 simple steps to get long-lasting, transfer resistant makeup. Polish blogger Agata Welpa provides some eye shadow looks using Mattify's Long Lasting Eye Makeup in Snow Bunny, Summer Storm, and Woodland Fairy. For more beauty tips and reviews, check out her Intagram page! We try to keep up on adding your product reviews & links to our website, but thanks to bloggers and buyers showing so much love, it gets a bit overwhelming at times! If we have overlooked your review and you would like it added to this page, please don't hesitate to contact us at mattifycosmetics@yahoo.com. We will gladly add your review, pictures & link! 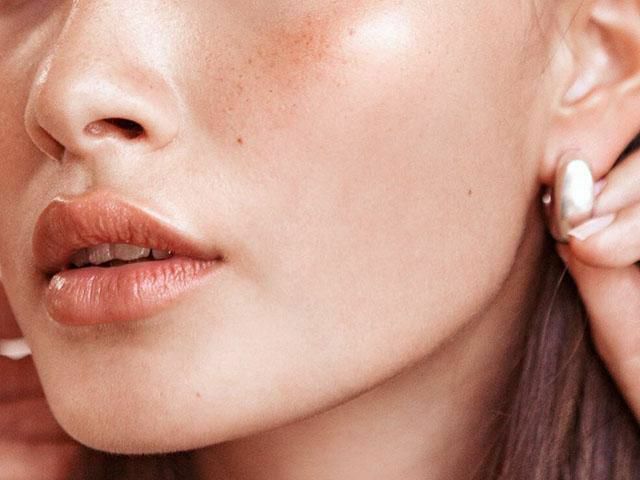 Best Liquid Foundation for Oily / Acne Prone Skin? I just wanted to write to say thank you so much for creating Mattify Ultra! I have just purchased my 3rd tub in a row and don't know where I'd do without it! I use it in conjunction with milk of magnesia and my face has gone from a shiny mess to staying nicely Matte all day. Thank you so much & please don't ever stop making it! You have created a FANTASTIC line of cosmetics, and I have loved the smaller sizes I ordered from you, and am nervous as I'm about out of the tinted powder, and just ordered your super large jar of tinted face powder. Thank you so much for creating this great line of cosmetics! I received my new package christmas eve and used my ultra powder and blush on Christmas day to put it to the ultimate test! First off, I've been battling oily skin for 5 yrs now and the longest I have gone shine free is a wee 2 hrs!! I would literally cry from frustration going home to my poor husband who would end up driving me to ulta or sephora to endur eanother trial of a different product. After 5 yrs my search is done!!! I LOOOOOVE MATTIFY! COSMETICS!!!! Consider me a life long customer! I was able to wear a liquid, yes a liquid, foundation and stay shine free for a total of 9 hours!!!! Hats off to you guys, I found my holy grail!! ready to go in 15-20 minutes!) Thank you so much for products! I just wanted to let you know that my Mattify Ultra arrived safely yesterday and all I can say is WOW!!!! Seriously, this powder is amazing! I’m 38 years old and while I am blessed with skin of a lady in her twenties, I also have terribly extremely sensitive and oily skin, I use mineral makeup and a finishing powder for oily skin and then I have to use talc free blotting papers every hour and a half throughout the day. Well yesterday I used the Mattify and I blotted 6 hours later because I was only just beginning to look a little shiny, but guess what! There was no oil there! Amazing!! Today I’m going to try it as a primer too, having tried EVERY possible finishing powder out there, ranging from £6-£40, this just leaves them all standing. Why is nobody in the UK talking about your company? This product should be an award winner! Thank you for recognising the issues that us ladies have and for addressing them in an independent way without following the latest ‘what’s on trend’ look to go for. Mattify just gives what it says and it delivers what it promises. THANK YOU! I will be back soon to try more of your products! I am so happy I found this product!!!! I used it both under and over my mineral powder foundation. Usually I already need more powder by the time I finish my hair, and today I didnt need a touch up or blot for 6 hours!!! And, it's humid 80° in the south. I am in complete awe. Thank you for fast shipping too! I love mattify!! I've have been using the Ultra powder for a few weeks now, it is simply brilliant! I have bought so many oil reducing products in my life and this actually works. Thank you so much! Please make a travel size, something to carry in your purse or leave at work. It is so great, I want to have the product all the time. I’ve been using the Ultra Mattifying Face Powder, and I never want to be without it. It’s the only product that’s ever worked for me. I used to have to blot or powder my T-zone almost every hour, and this product keeps me shine-free all day. I got the 30 g jar first, and immediately the 3 oz. jar. Everything the company says about this product is true. It’s just wonderful. The top Vegan Beauty Blog! This is only my third day wearing your Powder for Oily Skin and I already see a SIGNIFICANT difference. I have had very oily skin since a very young age and it is such a huge relief to finally find a product that promises to help and actually DOES. I will be buying more products from you in the very near future. Thank you!!! I LOVE your product! I have extremely oily skin and I have tried so many different products and nothing has worked like Mattify Ultra. The first time I used it, I was so amazed that 6 hours had gone by without any trace of shine on my face, which is a miracle! My make up last so much more and your tips are very helpful. The eye shadows are great as well! I would recommend your product without hesitation. Visit Nerdy Girl Makeup Beauty Blog for pictures and swatches! Where have you been???? I have spent a small fortune trying cosmetics, hoping to find makeup that will last on my oily, large-pored skin. I am a teacher and don't have time to keep freshening makeup! I never get this enthusiastic about a product, but yours does exactly what it says it will do. I have reordered and bought every product you sell. When it comes, I am tossing everything else away! (PS: A good tip for all-day eyeliner: Dip the tip of a liquid liner into the Mattify! product and draw your line. Lasts day into night! Find the best products for oily skin at Mattify Cosmetics! We specialize in powder for oily skin so you can shine with beauty, not with oil. Unless otherwise noted, products on our web site have not been evaluated by the Food and Drug Administration. They are not intended to diagnose, treat, cure, or prevent any disease. All skin types react differently to various ingredients. We take great care to specify ingredients and create items that are hypo-allergenic and skin friendly. Mattify! Cosmetics will not be held responsible for any problems incurred as a result of using our products, including, but not limited to: rash, acne, cystic acne, hives, psoriasis, blindness, eczema, dryness, peeling, skin swelling, skin itching etc. If such a situation occurs, refund for original product price will be granted. Otherwise, buyer assumes all responsibility for the purchase and use of Mattify! Cosmetics. To date, we have not had any such instances. It is not advised to use loose powder eye shadow (or any eye products) for 4 weeks after having any type of eye surgery, including laisik. This blog features excellent pictures, swatches, & descriptions of Mattify Products! Eye Shadow, used as winged liner. OMG this powder is amazing. I have always had oily skin. By the time I got to work in the morning, I was patting my face with a tissue to get the oil off and my make-up had only been on for 30 minutes. I can’t believe I found a product that actually works. Thank you so much for this product. I have found an amazing product for oily skin, a loose powder called Mattify and just have to share this with the rest of the world. This has truly been the best makeup discovery I have ever made. The instructions say that if you have very oily skin, to apply it both before and after your foundation. So, the first day I received it, that is exactly what I did. I was amazed that 3 hours after doing my makeup, I had NO shine! Normally my face would have been an oil slick by 10am. I bought it on Ebay for about 6 bucks – just type Mattify into the search. I was trying to do a product review on it, but it does not come up in the list of products, so maybe I will create a blog about my application tips and experiences with it. But if you have oily skin, you have GOT to try Mattify!! Hallelujah!!! Finally a product that actually works for oily skin!!! I am thrilled. I put on my makeup, with my new Mattify! Powder for very oily skin, early this morning and it still looks perfectly matted and beautiful seven hours later! I was shocked when I looked in the mirror and didn’t see that horrible oily shine that would always appear on my face before I even left for work in the morning. I have tried everything and nothing has ever worked. I will touch-up at lunchtime and can’t wait to see the results at the end of the day. I will be ordering more powder, in the larger size, very soon! clip this postemail this postwhat is this? The best powder for oily skin is Mattify Ultra Powder from Mattify Cosmetics ~ this is the holy grail of face powders! I've been battling with oily skin since I was 12 & I'm 34 now... still having to deal with oil and breakouts. I started using the Mattify Powder about 6 months ago, and the amount of breakouts has gone way down. I put it on under my Clarins Matte Foundation, and then again over my makeup. I don't have to repowder until about 4 hours into the day. I've tried probably hundreds of things for my oily skin and this is the only thing that has ever worked! Fragancia:Your blog source for Makeup Looks, Beauty Product Reviews, Giveaways, and Beauty Tips! I was so skeptical by this brand. First because i never heard of it and second because i have try almost all products to just keep oil out on my face nothing worked. after doing a lot of research i decided to purchase the ultra powder and i have been using it for a week and i am amaze. It does really work i have super oily sking for me work like 5 hours without shine pretty good. I recomend this powder and the eye shadows too. Plz never discontinue this product. Beauty Diaries Blog: "Opinions on the latest launches, discounts, descriptions, and reviews of the products offered by the World’s known and not-so-known beauty and cosmetic brands." I love this powder! I have got the ultra because i have a very shiny t-zone. Yesterday i put my make up on at 6.30 and it looked perfect all day long!!! no discoulering of my foundation. i would repurche again and again, and the good thing is that you deliver in belgium!! yeah! It was also delivererd very quickly! It beats all the powders i used, and they were very expensive (mufe stay matte). THANK YOU!! Kymakemeup - Excellent review of Mattify! Cosmetics + Pictures! Want to know what makes mattify eye shadows very unique and different from all the other brands? Find out on Kymakeup Blog! Subscribe to Kymakeup blog - click here! "i believe i have the oiliest skin EVER!!! nothing has ever worked until i tried Mattify! i tried bare minerals cause i figured it would work since its so expensive and suppose to be good for your skin, but it just broke me out and looked horrible on me after about an hour when i start gettin super oily. BUT Mattify! is amazing, its inexpensive and definitely a MUST for oily skin. I will never go back to another "oil control" powder again, Mattify! is the one everyone should try!" "we received the little jar of mattify ultra yesterday. both of my late tenn daughters and myself are simply as happy as we can be. this far, it is the most magnificent little jar of love we ever bought :) ...... i am old, and it does not make my wrinkles look wrinkly, but it controls the shine and hides those big old pores, and both of my daughters have found that this is the miracle powder of which they always dreamed. let me know when you have a special, as we are going to be very regular consumers. thank you :)"
Welcome to DeyiMizu's La La Land. Here you will find all sort of magical things like makeup reviews, tutorials, fashion, skincare, and random talks of my life.Click Here to View DeyiMizu's Full Blog! Click hereto subscribe to DeyiMizu's Blog! Click hereto follow Mimi Zhu's Tweets! Overall, I really like this loose powder because it really absorb the oil in my T-zone and make my skin skin-free all day. Even though I had combination skin but my T-zone tends to get oily during the day; therefore this powder helps with the problem. This powder stays on longer than other powder I have used. What I like the most is this powder is very lightweight. This doesn't feel heavy at all when I applied to my face. The powder can also use as a face primer to aid in oil absorption and provide a matte base for makeup. Also after applying, my face isnt ghostly at all. The only problem with this loose powder is that it tends to cling to dry flaked skin. So if you have dry skin flaking skin, remember to put on a good moisturizer or just apply it to area that needs it. I don't usually wear bronzer because it looks weird on me but I really like this bronzer. It has this beautiful shine on my face after applying it. I love how it never irritates my skin at all for the whole day. I think just a little of this bronzer is enough because it is very pigmented and beautiful. It will be great to use this as a blush bronzer and not for contouring your face. I would definitely recommend this to others. Overall, I like the eye shadows a lot because they are pigmented and long lasting. They can be applied wet or dry. It is also have four different uses like eyeshadow, eyeliner, lip gloss, and nail polish. I didn't apply the eyeshadow wet because I think applying it dry is pigmented enough. I love the color Summer Storm and Snow Bunny because Summer Storm is nice medium grey color with shivery sheen. Snow Bunny is gorgeous semi-opaque white with gleaming sparkle. I also get to try out the eye shadow Twilight. Twilight is a midnight black shadow with tiny sparkling hints of blue. Since Twilight is super pigmented, a little bit is enough. LOVE,LOVE,LOVE it! I am so happy with my mattify ultra powder. I work as a massage therapist AND I have oily skin, by the end of the day my face looks like you could fry something on it. This product does what it says and is worth every penny. When I start to get oily, I apply some of the mattify powder and my make up looks perfect again. I also use mattify powder to prime my eyes for eyeshadow; my eyeshadow will last an 8 hour day without creasing. I have also tried mattify eyeshadows they work welll for oil like the powder does, but they dont blend very well and not highly pigmented. Overall, I am very satisfied with my purchase. This is the perfect remedy for oily skin thanks Mattify Cosmetics. The Mattify Ultra Powder is my very favorite #1 must have product, because without it, my oily skin looks like it was dipped in olive oil! I know, nasty. But anyways, I’ve already reviewed the Mattify Powder - now I have an update because I bought their tinted oil absorbing powder last week. The sample was $3, and I got the Fair Skin color. It’s amazing!! Usually I wear liquid makeup, but in the summer am always looking for something lighter than liquid that will still provide good coverage. I applied the Tinted Mattify with a flat flexible foundation brush. I patted, tapped, and blended until all of my flaws were hidden, then put the Mattify Ultra Powder over the top. My face looked fresh and oil free for about 3 hours before I needed to touch up with the clear Mattify Ultra. I was amazed that my flaws (freckling and a few acne scars) were still hidden, and that my face still looked even colored. I have tried many different mineral powders, but they all made me itch and look blotchy only a few minutes after application. My biggest nemesis in the world of Mineral Makeup is Bare Escentuals, because it looks horrendous on my skin. I also wrote a review on that, detailing my experience, and it was NOT good! I’d just about given up on tinted mineral powder, but since I love the transparent Mattify Ultra Powder so much, decided to try their tinted version. The Mattify tinted powder is very high pigment and long lasting, at least for a mineral powder. All the other tinted minerals I tried made my face look oilier and didn’t provide any coverage at all. I didn’t need to do a touch up with the Mattify Tinted until about half way through my day. It is very easy to blend, and to layer the color. I’ve noticed that if I use the transparent Mattify Ultra first, then the Tinted Powder, then more Mattify Ultra, I can go about 4 hours without a touch up. In the summer I swim a lot, so will probably use my waterproof liquid makeup for beach days. But this Tinted powder will be perfect for days when I want to look like I have naturally perfect skin, without having to layer on a coat of liquid foundation. This is the best powder i have ever used!! And so cheap! I have very oily skin on my nose and chin and this controls the shine super! Its now 2 o clock and i have make up on since 6.30 this morning and the shine is minimum! i live in belgium and let it ship to me and it was within 3 days delivererd! super! i used mufe matte loose powder thats very expensive... this is much better and cheaper, the colour of my foundation doesnt change during the day and thats also ++++!! if you have very oily skin, do not hesitate and order the powder, i have the one for very oily skin. spearmintcookie on 4/7/2011 3:39:00 PM More reviews by spearmintcookieAge: 19-24Skin: Very Oily, Fair, NeutralHair: Brunette, Curly, FineEyes: GreenAfter reading a rec for this stuff on ESD and checking out the reviews on MUA, I decided to give it a try, and I am so glad I did! It's relatively cheap ($15 or so for a big container, including shipping) and quite effective. Some background: I have unbelievably oily skin. I wash my face, and 20 minutes later it's covered in oil. Super gross. Nothing has even been able to get it under control for longer than an hour, but I find that the Mattify! Ultra powder (I decided to go for the strongest stuff, given how oily my skin is) keeps it shine-free for 3+ hours, and the great thing is, it's really easy to wipe away the oil that does collect. And the oiliness isn't as glaring as it was before, it's more of a glowy sheen. I'm really pale, so I don't have the problem of it making me look ghostly, though I can imagine that being an issue for darker skin types (they recommend only putting it on under foundation, not over, if you're dark), and wonderfully, it doesn't make me look powdery or made-up. It's not a perfect product--I do have to reapply during the day, and I have to put it on both under and over my foundation, and the powder has a tendency to fly up everywhere when I apply it, but I am still extremely pleased. If you have really oily skin (I think the Ultra would be too strong for someone who's combination or drier), I recommend giving it a try! But a few months later, she asked me to buy her 2 more of Mattify! She said it worked pretty well and would love to have it handy. trharvey on 1/2/2011 12:01:00 PM More reviews by trharveyAge: 36-43Skin: Oily, Medium, NeutralHair: Brunette, Curly, MediumEyes: GreenTo start - I have super oily skin. I have spent the last 2 years seaching for something to reduce my shine and help my foundation stay on longer. I have been using the Ultra formula for the past 2 days and all I can say is WOW! Could this be my HG in my makeup kit??? The first day I used it before and after applying L'Oreal Infallible. I saw a small amount of shine after about 4 hours. All it took was a quick touch up and I was good for the rest of the day and evening. The second day I used it before and after applying Ulta mineral makeup. I had no shine all day. While I am not impressed with the Ulta mineral makeup (I will be returning it later this week) I LOVE the Mattify! powder. I have a pile of MMU samples that I loved but didn't continue using because of the shine I would have within minutes of applying them. I have taken them out and I am going to try them again with Mattify! I was not able to find a spot to write a review on the Mattify! Ultra, but figured this would do. Many months ago, I tried their original Mattify!, and it worked good – still better than any other matte powder I have ever used. It would keep the oil down for like 2 hours. Then I tried the Ultra last month and OMG!!! I didn’t have to do a touch up for 4 hours. That has never happened since I was a pre-teen. I swear my skin is the oiliest in the world, and every year I try to buy the latest stuff for oily skin. I am always disappointed. But not this time! I read that other person’s review saying the original didn’t work well, and that they were afraid to try the Ultra because of silicone. So far I’ve been using this for around a month, and haven’t gotten any breakouts from it. My breakouts have actually gone away since I started using the Mattify before my makeup, so I don’t think it will cause acne. It’s probably fine unless you are specifically allergic to silicone. Apparently I have no allergy to silicone, but I am very allergic to Bismuth. Almost all mineral makeup and mineral veil products have Bismuth and so I can’t wear them. The Mattify Powders have no Bismuth, so they are perfect for me. Anyways, I couldn’t be happier to have found this product. When you deal with oily skin every single day it gets beyond frustrating. I was seriously beginning to think I would never ever find anything that would stop the oil. This makes my face look like it’s totally flawless when I put it over my makeup. And my skin is far from flawless (acne scars, freckles). It blurs all the imperfections, and even hides my large pores. I’ve never written a review for anything before, but I read them religiously before buying products. This one is review worthy, and I would give a hug to whoever invented this. It has improved my life and my looks beyond measure! Finally, something that makes the oiliness go away! A friend told me to check it out after she read the reviews on MUA, so thanks to her I've found an awesome powder and MUA! I have such oily skin that my makeup gets all greasy like 10 minutes after I put it on. When I put the Mattify Powder on underneath, my face looks matte for almost two hours. That's a world record for me! Then, when it gets a little oily, I just put some more mattify on, and am shine free for 2 or 3 more hours. All other powders I have tried look so fake and orange, but the Mattify is totally clear and natural looking. My friend bought the one called original, but I bought the ULTRA since I'm so super oily. I love this stuff! And it is cheap too, 12 bucks I think. Am eternally happy for this product. It has made a big difference to my daily makeup routine and its great to not have to touch up every half hour with those stupid oil blot papers! This is a must use powder if you're oily! When I first applied it, my face looked like I had normal skin (yay!). However, this thing will cling to dry areas of your face! Just be aware of that if you have combination skin. Although this kept me from having to blot every hour, my T-zone was still shiny within 3 hours. I will still be using this as a setting powder for my foundation until I run out or until I can get my hands on another (hopefully inexpensive) mattifier. I don’t even know how to describe the awesomeness of this product! For years I’ve looked for something that would soak up all the oil on my face, and am so sick of wasting money on stuff that doesn’t work. A friend of mine had ordered this because of a review she saw here on MUA and let me use some while we were out at a club a few weeks ago. I used my powder puff from my regular compact and patted it all over my face. After 4 hours of dancing, I barely looked shiny at all. It’s a new record for me! I would usually have to use oil blotting sheets at least every hour, and even though they claim to not disturb makeup, they would make my foundation fade and I would have to reapply it. This Mattify powder doesn’t cause makeup to fade at all, and keeps the face dry and shine free. It looks white at first when you apply it, but if you pat the powder puff onto your skin a bunch of times, the white shade goes away and nobody can tell you’re wearing the powder. I usually use Cover Girl colored powder, but that looks dark and kind of muddy after using it several times. It feels thick and heavy too. What I like about the Mattify powder is that it’s light weight and totally invisible. I bought one for my purse, my car, my desk, and for home because I never want to be without this powder! Loose powder made from kaolin clay and cornstarch. Little goes a long way. Very cheap. Only thing that has truly ever worked for any period of time on my oily skin. Keeps the shiny away well past lunch. No sensitivities. Translucent on my skin but dark skinned ladies may have issue. Can find atwww.mattifycosmetics.com. This is the most awesome powder ever for oilyskin!!! Im just so excited to have found it, because Ive spent so much money on other powders that look horrible on me and dont even stop the oil. My face gets so oily after one hour that it fills up a whole blotter paper. Now it doesnt get that oily until 4 or 5 hours into my day. After oil starts to build up, I just pat on more of the Mattify Powder and the oil is gone for the rest of the afternoon! Seriously?! ONE touch-up per 9 hour day?! I must be dreaming! Sorry about all the exclamations, but this product makes me so happy. Ive seriously looked for a product that would soak up oil for the past 10 years, and nothing has ever come close. It\'s incredibly inexpensive, $7.99 at thewww.mattifycosmetics.com website. I must have spent literally thousands of dollars on other "oil absorbing" powders, gels, primers, lotions etc. in the past, and nothing even comes close to doing what this one does. I apply the Mattify Powder before my liquid makeup, and then again afterwards. It totally minimizes pores, and makes me look flawless (which I am not!) I have trouble with acne too, but since I started using this before my makeup, the acne has gone away. I was reading their website and it says the powder stops the makeupfrom sinking into pores, so that must be why it stopped my breakouts. This is a true miracle powder, and its so light weight, you can barely even tell youre wearing it. Its a must have for anyone with oily skin. Helps makeup last a long time too. Oh, and I bought the one they sell called Mattify Ultra the other day. It hasnt arrived yet, but the website says it controls even more oil than the regular formula. Cant wait to try it! This is my second day of using this product and I cannot believe how awesome it is! Yesterday I used it before and after applying L'OrealInfallible foundation and I didn't see any shine until 3 hours later which, for me, is astonishing. I just purchased some Ulta mineral makeup and decided to use it both before and after applying this type of foundation. It worked even better! While I'm not impressed with the Ulta mineralmakeup (I will definately be taking it back next week) I've had no shine. I also ordered the Cotton Candy eyeshadow and love it too. Mattify! Ultra will now be a part of my dailymakeup routine! How Can I Receive FREE Makeup for Review on My Blog & Social Media Sites? Mattify! Cosmetics is a PR Friendly company, and we gladly provide complimentary samples and/or full-size products for beauty bloggers with 400+ followers, and Influensters with 10+ reviews or swatches on file. We also provide comped products for review to those with social media sites (You Tube, Facebook, Pinterest, Instagram) that have 600+ followers. Please feel free to contact us to request a product! As long as the above parameters are met, about 95% of requests are accommodated.